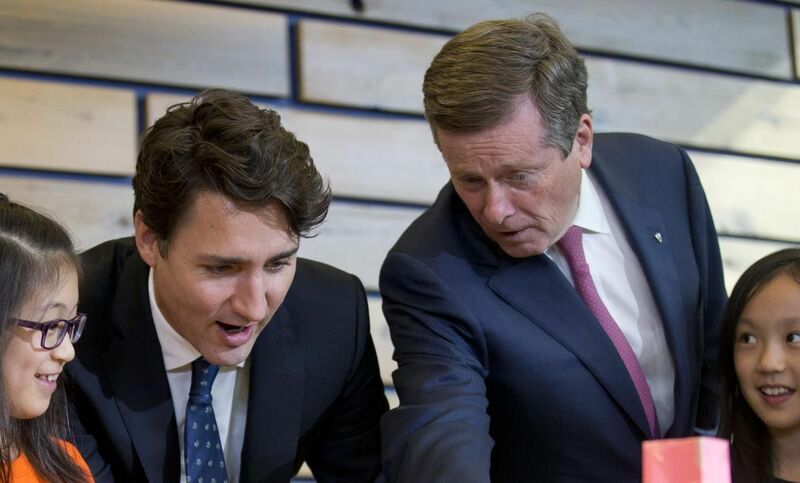 Prime Minister Justin Trudeau will meet with Toronto Mayor John Tory this morning, against the backdrop of the city’s escalating gun violence and Ontario’s clashes with Ottawa over carbon pricing and refugee resettlement. Trudeau met yesterday with newly elected Ontario Premier Doug Ford, who earlier in the day said the prime minister had put a strain on local and provincial services by encouraging asylum seekers to come to Canada illegally, and that Trudeau’s government should foot 100 per cent of the bill for resettling the newcomers. Trudeau said after the meeting that he’d explained to Ford how the asylum-seeking system works and what Canada’s obligations are. In a radio interview Friday morning, the prime minister condemned leaders who engage in anti-migrant rhetoric. Tory has said all three levels of government must work together to address local gun crime, after a string of shootings left three people dead and at least eight injured over the past week. The mayor spoke to federal Public Safety Minister Ralph Goodale on Tuesday about ways their respective governments could co-operate on the issue.